In the concluding part of his investigation into the discrepancies in the demonetisation policy, James Wilson explains why Indians are destined to silently suffer the cash shortage for half a dozen more months. Part I: Demonetisation: It's a monumental disaster in the offing! So when did the printing of the new currency start (yes after the so-called meticulous planning, selling of an amazing idea and getting a nod from high echelons to go ahead with the 'surgical strike')? Many theories have been floated about the meticulous planning in the initial days, by a certain section of cheerleader media and court-jester journalists. I am not ready to buy any of them. We learnt from media reports that the printing of the new notes was confined to the RBI's BRBNMPL (Bharatiya Reserve Bank Note Mudran Private Limited) presses at Mysuru and Salboni. Neither the Nashik nor Dewas presses of the SPMCIL (Security Printing and Minting Corporation of India Limited) were in the loop, perhaps due to the secrecy involved in the mission. Another reason may be that both these presses were already assigned with the printing of lower denomination notes (from Rs 100 downward) in huge quantities as per the annual indent of the RBI for FY 2016-2017. Considering all these constraints, let me put a rational date before you. In response to a RTI query, the RBI disclosed that it had 2,473.2 million (247.32 crore) Rs 2,000 notes in stock for disposal as of November 8. With the printing capacity of 43.84 million (4.38 crore) per day at the Mysore and Salboni presses together in two shifts, it will take 57 days to print the 2473.2 million notes (247.32 crore) -- that is if it started on September 12. Take another possibility: If the RBI took an effort to enhance printing to three shifts, then they can print 65.76 million/day; it will take 38 days. This would mean that the printing started only on October 1. I was really shocked to find that there was not a single Rs 500 note with the RBI when they unleashed this demon over the nation! It had just 32% of the total Specified Bank Notes or SBN in circulation -- that too with a less-mobile Rs 2,000 note stock! This despite being aware that they can't print the rest of the SBN within the 50-day window. I then looked for patterns of disbursal of currency at various dates, which was inferred from the data provided through the RBI's press releases. The table (left) shows that there was a substantial increase in the disbursal of currency between November 27 and December 5 from Rs 12,589 crore per day to Rs 20,548 crore. This was definitely due to the disbursement of salaries on the first of December. Thereafter, the disbursal dried up substantially in the succeeding period to Rs 16,000 crore a day. If we take the first 31 days of demonetisation, the average daily release from November 10 to December 10 is Rs 14,871 crore a day. If the money is disbursed as per the above daily average, over the next 20 days another Rs 297,420 crore can be disbursed. Hence, the government may be able to disburse a total of Rs 758,420 crore or a maximum of Rs 8 lakh crore by December 30. This means that just 52% of the total SBN will be disbursed to us. But even this quantity is doubtful considering the present printing woes, which we will examine later. There is a serious cash delivery issue in the system due to inferior planning and poor judgement on the part of the RBI as well as the finance ministry. How else would the RBI justify the various new restrictions it unleashed day after day without respecting the November 8 notification? It is quite depressing to see that even the address to the nation by the prime minister is not honoured! Then I came across another shocking finding. The RBI published a transcript of the statement given by Deputy Governor R Gandhi on December 7 on its Web site. But soon enough the RBI purged it. The video of the press conference is still available on the Internet (external link). This made me curious. What was the information in the transcript that forced the RBI to delete it from its Web site, even sacrificing the very institutional credibility? What was there to hide from the public which the video coverage of 5th bi-monthly monetary policy press conference missed? To RBI's dismay, it could not wipe out the cached version of Gandhi's transcript. So a friend on Twitter grabbed that information and shared it with me. Look at the highlighted information (below). Wondering what the relevance of the information was? It can lead you to the printing volume of new notes disbursed by the RBI as on December 10, which they have refused to divulge so far. Note that the total value of the lower denomination notes disbursed by RBI is 19.1 billion (refer to the transcript above). That amounts to just Rs 1.059 lakh crore! This means that the higher denominations notes were worth Rs 2.75 lakh crore (Rs 3.81 lakh crore minus Rs 1.059 lakh crore). As the RBI has not given the volume of high denomination notes, I was unable to decipher the possible numbers of them. But in the next press conference on December 13, Gandhi claimed that the supply of lower denomination notes had been increased from 19.1 billion on December 5 to 20.1 billion on December 10. He also claimed that the RBI had disbursed 1.7 billion higher denomination notes of Rs 2,000 and Rs 500. As the amount of the total cash disbursed is Rs 4.61 lakh crore, it turned out to be a simple mathematical problem to solve. There is a limit for the lower denominations to fluctuate, as we know that denomination-wise 19.1 billion notes are in circulation. If the entire 1 billion volume increase is of Rs 100 note, then total value will increase by Rs 1.159 lakh crore (a Rs 100 billion increase). This simply means that the value of higher denominations notes will be in a range of Rs 3,451 crore to Rs 3,541 crore. This also means if all high denomination notes are of Rs 2,000, its volume will fluctuate between 1.7 billion to 1.8 billion. If Gandhi would not have given the exact volume-wise distribution of each lower denomination in the December 7 transcript, we would not have been able to emulate these scenarios. My strong feeling is that it is the very reason why the RBI later deleted the said transcript from its Web site. You can't introduce over a couple of million Rs 500 notes into this equation -- in that case the volume of higher denomination notes will go up higher than 1.7 billion! Even after a month after unleashing demonetisation, the RBI has not able to disburse any substantial quantity of Rs 500 notes into circulation. It's shameful for the RBI to flash a couple of million Rs 500 notes in metro cities and major urban centres before the 24x7 electronic media, to flaunt on WhatsApp forwards and re-tweets on social media! It is really sad to see that a reputed professional organisation like the RBI is letting down the nation with such cheap tricks rather meeting pressing demands! In his December 7 press conference, Gandhi said that the RBI had provided 19.1 billion lower denomination notes since demonetisation, which he claimed was a record as it was more than what it had provided in last three years to the system. The indent and supply for the last financial year shows that around 16 billion lower denomination notes were printed then. This financial year too, the RBI gave an indent to print 16.6 billion lower denomination notes and if the presses print as per their capacity, there would be new 12.5 billion notes till December 10. Along with this quantity, there will be soiled notes, collected to dispose during this financial year (Kindly note that, last year alone around 13 billion lower denomination soiled notes were disposed off), pushed back to circulation. Also note that the total number of lower denomination notes in circulation as on March 31 was 56.6 billion. It is interesting to note that Gandhi never claimed that RBI has printed 19.1 billion notes. Instead, he only made a tall claim that these notes were a record volume! The media never asked any questions, and Gandhi spoke in glory! I am sorry, but I can't digest this all-time record claim of attention-diversion by twisting facts! Now let us come back to the figure of 1.7 billion high denomination notes disbursed by December 10. This information is quite perplexing when we compare the printing press capacities. The RBI had a stock of 2.473 billion Rs 2,000 notes as on November 8 itself. So if these printing presses were working at least two shifts/day, there would have been another 1.4 billion pieces of Rs 2,000 and Rs 500 with the RBI by December 10 (32 days x 43.84 = 1,403 million). To completely replace the Rs 1,000 notes by Rs 2,000 notes, the RBI needed to print 0.956 billion (3.429 billion minus 2.473 billion) notes. So the RBI should have completed this printing by December 10. I hope and pray that the RBI did not go ahead with another short shrift solution of printing more Rs 2,000 notes to replace Rs 500 notes for it will completely disrupt the mobility and balance of the currency in circulation. Why is the RBI holding on to the remaining 1.729 billion of Rs 2,000 notes (3.429 billion minus 1.7 billion=1.729) without disbursing to the public? Also, from the above we can find that a quantity of 0.444 billion Rs 500 notes (1.4 billion minus 0.956 billion) printed after are with the RBI, but a few millions have only been disbursed to the public. It is really perplexing that why the RBI is not distributing these Rs 500 notes in substantial quantities? * with R as inset. This indicates that various printing presses are put to the task of printing the Rs 500 notes. However, since we don't enough notes in circulation, it is feared that some issues could have cropped up during its printing. Remember media reports on Rs 500 notes of two different designs cropping up and the RBI's bizarre explanation? 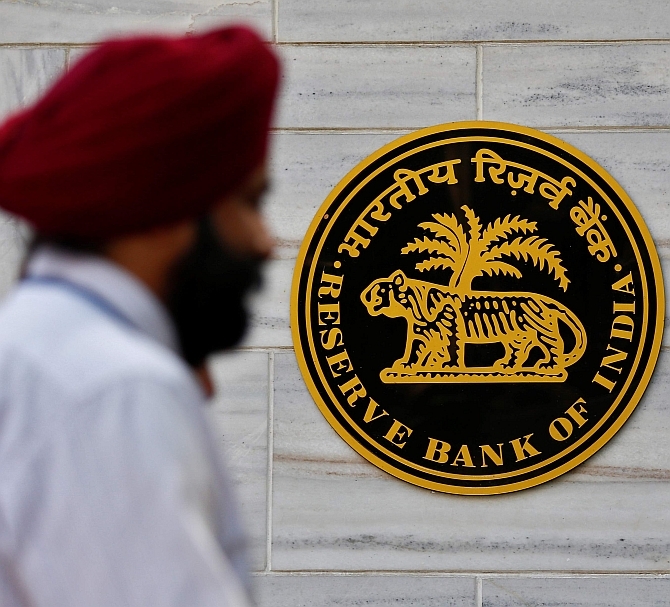 The RBI, as on December 10, claimed to have disbursed 1.7 billion high denomination notes. This will definitely be 1.7 billion Rs 2,000 notes and a few million Rs 500 notes, as I have shown above. Also relying on the above printing calculations and RTI disclosure, we can very well conclude that the RBI may have had a stock of at least 1.7429 billion Rs 2,000 notes and 0.444 billion Rs 500 notes as of December 10. So then how much time will the RBI take to print the remaining 16.721 billion pieces (17.165 million minus 0.444 million)? Mysuru and Salboni (3 shifts/day) and Nashik & Dewas: At 88.82 million/day will need 188 days or June 16, 2017. Mysuru and Salboni (3 shifts/day) and Nashik: At 81.64 million/day will need 204 days or July 2, 2017. Mysuru and Salboni (2 shifts/day) and Nashik: At 59.73 million/day will need 280 days or September 16, 2017. Looking at these dates will make anyone shudder. Remember, our prime minister on November 8, sought a few days to restore normalcy. This will give you an idea about the planning prowess of the mandarins in the RBI and the finance ministry. There is no magic wand here to create miracles; we are destined to silently suffer this onslaught for half a dozen more months. As to when we can expect SBN to come back to the banks, the table, left, helps explain why the government and the RBI are panicking and imposing new restrictions like questioning people depositing over Rs 5,000 into their KYC accounts. * With an average daily inflow of Rs 15,000 crore, the entire SBN valued Rs 15.44 lakh crore will return to the banks. *With an average daily inflow of Rs 12,800 crore, total SBN valued Rs 15 lakh crore will return to the banks. * With an average daily inflow of Rs 10,300 crore, total SBN valued Rs 14.5 lakh crore will return to banks. My strong belief is that SBN valued around Rs 15 lakh crore will most probably return to the system; the rest will be trapped in Nepal, Bhutan and other countries for the time being. If Rs 15 lakh crore SBN returns, it would totally shatter and tear away all the mighty claims made by the government and the RBI that only a maximum of Rs 11 lakh crore to Rs 12 lakh crore of SBN will be returned.